Mistakes parents make when trying to help their child cope with bullying. The #1 thing I hear from parents whose kids are being bullied is that they reported the problem to the school and the school didn’t do anything about it. They report the problem and then worry about what will happen to their child at school the next day. They don’t seem to be aware that reporting isn’t enough. It’s important to do, but it isn’t enough. Don’t get me wrong. I totally understand the desire to report it once and have it be done with. But that is magical thinking. 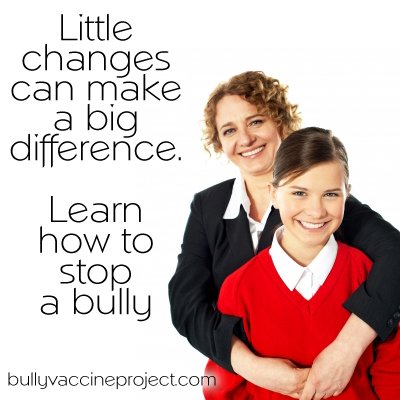 The real world doesn’t work that way and if you really want to help your child end their bullying situation, you need to take a much more realistic and active approach to the problem. 3 reality based reminders for parents worried about their kids being bullies. First – eliminating bullying is a process that will take place over time. You can’t just report it once and be done with it. Your duties and responsibilities as the parents are more involved with that and outsourcing them to the school – doesn’t work. You need to partner with the school to keep them focused to make sure this happens. But your responsibilities don’t end there. Second – don’t take this away from your child. Your instinct is to be a mama bear or a papa bear. Someone is hurting your child, mama and/or papa to the rescue. But that doesn’t help your child. Yes, you have to help your child by liaising with the school, but … your child has the ability to learn how to deal with difficult and obnoxious people. These are important social skills to learn and the less you treat them like a victim who can’t defend themselves, the better. These are important life skills to learn, this is a learning opportunity for your child, support them as they learn, but do what you need to do to help them learn these skills. Third – If you don’t already know how to get a bully to stop using behavioral management techniques (operant conditioning), learn them! The main person to teach your child these skills is you. People need to be coached to master these skills which means you need to learn them so you can teach them to your child and help them fine tune their response so that they can successfully get their bully to stop and leave them alone. I have a lot of free materials on this website, from free lessons for your child to free lessons for you on how to deal more effectively with the school. I also have a book and a more indepth toolkit to help you and your child work more systematically together. Bullying can be stopped, but it won’t happen by magic. Learn the skills you and your child need to know so that you can help them be successful.